That Thursday morning, June 27, must have found Robert E. Lee pleased with the progress of events. His plan, though still behind schedule, was unfolding satisfactorily, and both his army and part of McClellan's were moving in the direction he wisheddown the Chickahominy. But Lee was far from being content and knew that his troops must keep the pressure on Porter's men if the Federals were to be forced from the north bank of the Chickahominy. Again this day Jackson's command would play the crucial part in the plan. He was to continue his march to Old Cold Harbor, still moving along the Federal right flank. As Lee saw it, the Federals, aware now of Jackson's presence, had two choices: they could prepare to meet Jackson when he arrived on their flank and rear at Old Cold Harbor or they could abandon altogether their positions north of the Chickahominy. Lee hoped it would be the latter. He met with Jackson at Walnut Grove Church and, as the army's columns pressed by in dusty pursuit, informed his general that D. H. Hill's large division would march with the Valley army and be under Jackson's command. The two men parted, Jackson to move his men onwardthey had marched about 10 miles already that morning and would have to cover another eight to be in position at Old Cold Harborand Lee to join A. P. Hill's and Longstreet's columns pursuing in the Federals' wake toward Gaines's Mill. If all went well, Lee would have all 60,000 men of his attacking force in position to fight by early afternoon. But Fitz John Porter, a brave and capable officer, did not rattle easily. He and his friend McClellan had spent the night of June 26 discussing the situation of the army, and Porter understood that he was to be entrusted with fulfilling a crucial assignment. McClellan had decided the time had come to let go of his supply linethe Richmond & York River Railroadand move toward the James to establish a new base. This would be a dangerous operation in the presence of a large and aggressive enemy, but faced with the choice of standing and fighting or changing his base, McClellan decided the retrograde movement was the better option. He needed time to move the army, its 3,000 wagons, heavy guns of the artillery reserve, the sick and wounded, the 2,500 head of beef, and countless tons of supplies, and Porter and his men would buy that time. If they failed, the army might be destroyed. Confederate attacks began shortly after noon when A. P. Hill's brigades charged the Union center held by Brigadier General George Sykes's division of Porter's V Corps. 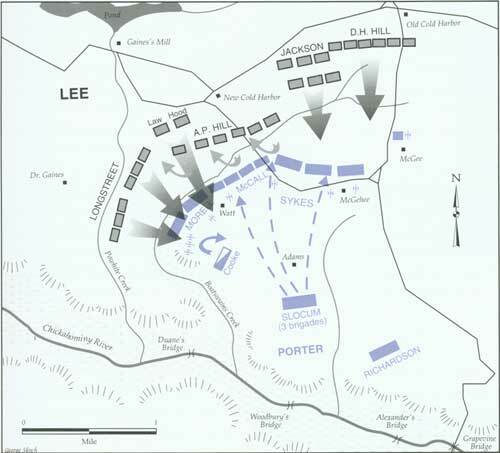 The battle reached its climax shortly after 7:00 P.M. when Lee's combined forces surged forward against the entire Union line. Several break-throughs occurred simultaneously. A last desperate attempt to save several artillery pieces from capture failed when Brigadier General Philip St. George Cooke's cavalry charged straight toward Hood's men. 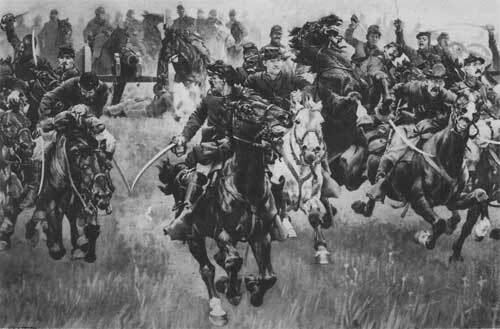 A volley of musketry quickly dispersed the riders. Reinforced to a strength of 35,000 men, Porter formed his defense on high ground east of Gaines's Mill and behind Boatswain's Creek. Like the line at Beaver Dam Creek, this naturally strong position rose to wooded heights that dominated a boggy creek bottom, but Porter's men made it even stronger by felling trees and digging rifle pits on the steep slope and placing batteries along the top of the hill. For the second consecutive day, the Federals had a great advantage in a dominating defensive position. A. P. Hill's men began the action around 2:30 P.M., testing Porter's position near New Cold Harbor. Hill later reported that "the incessant roar of musketry and the deep thunder of the artillery" told him that the Federals were before him in great strength. His men, the general wrote, "met a withering storm of bullets, but pressed on to within a short distance of the enemy's works, but the storm was too fierce . . . they recoiled and were again pressed to a charge, but with no better success. These brave men had done all that any soldiers could do." 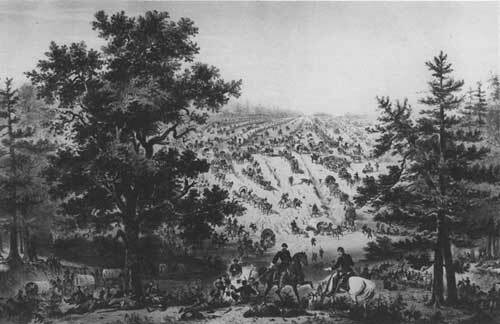 The Federals repulsed all Confederate sallies throughout the afternoon, and hundreds of men, Union and Confederate, fell on the slopes above the creek bottom. Daylight waned, and Lee had yet to crack the Federal line. Though A. P. Hill and Longstreet had been feeding men into the fight all afternoon, they had made no substantial progress. Much to the commanding general's frustration, Longstreet and Hill lacked support from the left end of the Confederate line. For the second time in two days, Stonewall Jackson was late. Lacking good maps and led by a guide who misunderstood his instructions, Jackson had taken a wrong road and lost precious time. Only late in the afternoon did his men reach Old Cold Harbor and deploy for battle. At 7 P.M., Lee ordered a general assault, and soon thereafter, Confederate infantry advanced along a two-mile front. 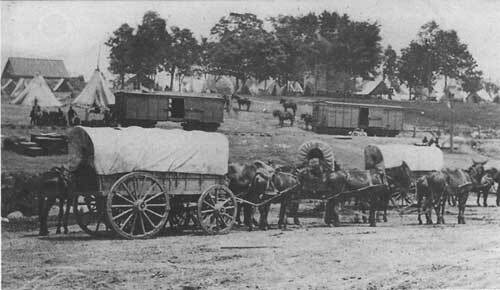 The persistent Southerners pressed in on the outnumbered Federals at every point along the line. The firing was terrific, producing a deafening roar and clouds of smoke that one Texan swore blocked out the sun. Finally, as the sun was setting, portions of Porter's line began to give way. Brigadier General John Hood's "Texas Brigade" broke through at Boatswain's Creek, and, on the far eastern end of the line, Jackson's men breached the Federal defense near the road to the Chickahominy. Despite heroic resistance in some places, especially by the U.S. Regular troops opposing Jackson, Porter's line began to crumble. In desperation, cavalry commander Philip St. George Cooke ordered a cavalry charge intended to throw the advancing Confederates off balance long enough for Federal infantry and artillery to escape. 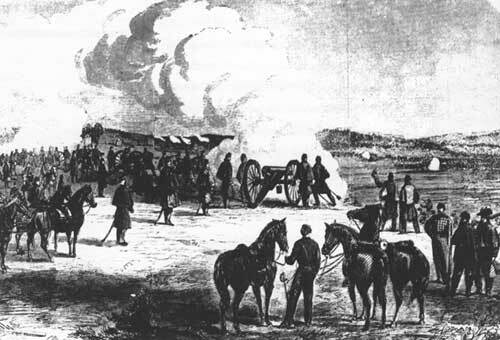 Cooke's charge failed, and the Federals lost 22 cannon and thousands of prisoners in the withdrawal. Among the hundreds of civilians to feel the effects of invasion and war on the Peninsula the family of Hugh Watt stands out. 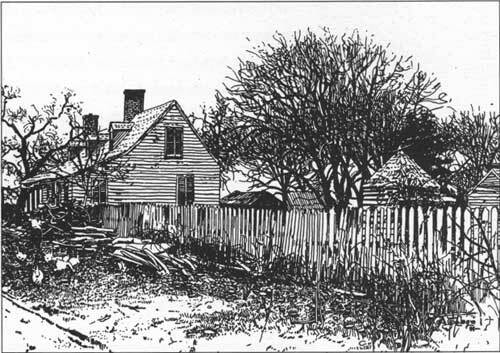 Mr. Watt and his wife, Sarah, had operated a prosperous farm on the north bank of the Chickahominy River. Their modest plantation home Springfield was built in the early 1800s. 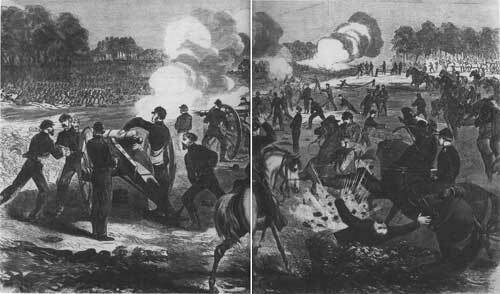 In the early afternoon of June 27, 1862, the Battle of Gaines's Mill erupted on the Watt Farm. 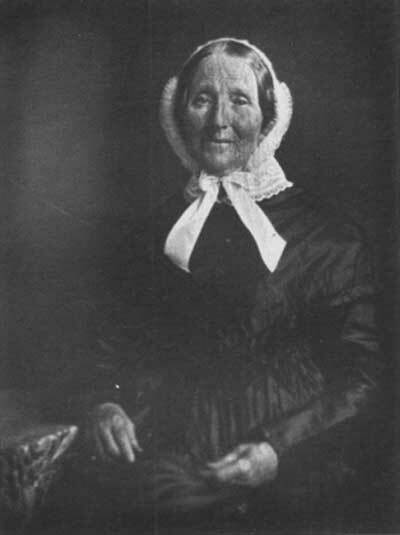 The 77-year-old Mrs. Watt (by that time a widow) had been very ill for several weeks. As the first shells crashed into the stable and kitchen chimney, Union officers warned the family to leave quickly. Mrs. Watt protested feebly, but her children hastily moved her off to safety. One of her grandchildren recorded later that Mrs. Watt's condition had "benumbed her faculties," thus softening the anguish of departing the family farm. The largest battle in the history of Virginia up to that point was about to explode on her farm. The Watts joined a procession of at least forty other displaced locals fleeing eastward beyond the borders of the battlefield, Occasionally some badly aimed shell would explode nearby, adding to the chaos. The refugees gathered together in small groups and listened to the battle "with bowed heads and tearful eyes." At twilight, the final Confederate surge of the battle swept through the yard of the Watt House and beyond, leaving a trail of dead and wounded soldiers mixed with shattered wood from the house and its outbuildings. Victorious Confederates soon began to segregate the wounded, removing the injured Northerners they found into and around the house. One week later a Confederate surgeon reported 400 wounded still at the house. Supplies had dwindled, leaving the miserable collection of wounded "entirely unprovided for." A visitor to the area in September noticed graves all over the yard, even in Mrs. Watt's garden. The house stood grimly silent, "The walls and roof . . . torn by shot and shell, the weather-boarding honeycombed by minnie balls, and every pane of glass shattered." Every piece of floor inside the house bore menacing bloodstains. "Once a neat and comfortable home now a . . . foul and battered wreck," the visitor concluded. Mrs. Watt was spared the ugliness of the scene. Her condition continued to deteriorate, and she died early the following year, apparently without having returned home. In some ways Sarah Watt is similar to the famous Widow Henry at the Battle of First Manassas. Although Mrs. Henry died in more violent circumstances, they both illustrate the arbitrary heavy hand of the Civil War that doled out destruction to soldier and civilian alike. The Battle of Gaines's Mill was a clear Confederate victory. Porter's force, outnumbered for much of the day, had held its own but at a fearful costabout 6,000 Northerners killed, wounded, missing, or captured in seven hours of fighting. Lee had won his first battlefield victory at the steep price of 9,000 men. 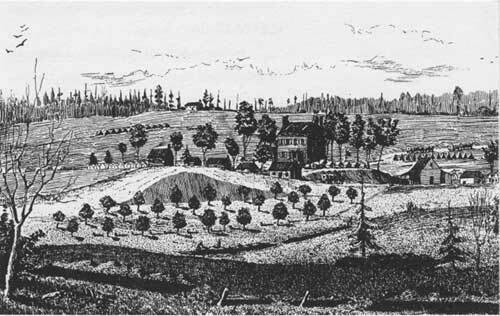 With almost 95,000 men engaged, Gaines's Mill was larger and costlier than Seven Pines and established a new standard for blood-letting in the eastern theater. Though the two armies that had battled at Shiloh several weeks before had produced almost 25,000 casualties in two days of fighting, Lee and Porter had together lost 15,000 in a single afternoon. McClellan saw the battle for the disaster it was, and he was ready to point the finger of blame. Throughout the campaign, the general had been pleading with Washington to send him reinforcements. He had reported (incorrectly) that the Confederates outnumbered him overwhelmingly and that his army was in great danger if not strengthened. Now, the doom he had foretold had become reality, and he was quick to blame it on Lincoln and the War Department. "I have lost this battle because my force was too small," he wrote in a midnight letter just hours after the firing stopped. "I again repeat that I am not responsible for this, and say it with the earnestness of a general who feels in his heart the loss of every brave man who has needlessly been sacrificed to-day. . . . You must send me very large reinforcements, and send them at once, . . . As it is, the government must not and cannot hold me responsible for the result." A PERIOD DEPICTION OF THE FIGHTING AT GAINES'S MILL. SIMILAR "GLAMORIZED" DRAWINGS ILLUSTRATED POPULAR WARTIME MAGAZINES SUCH AS HARPER'S WEEKLY AND LESLIE'S. The general then got to the heart of the matter, He felt his political enemies in Washington, among whom he numbered Secretary of War Edwin M. Stanton, had conspired to bring about his failure. "I feel too earnestly to-night," the general wrote, "I have seen too many dead and wounded comrades to feel otherwise that the government has not sustained this army. If you do not do so now the game is lost, If I save this army now, I tell you plainly that I owe no thanks to you or to any other persons in Washington. You have done your best to sacrifice this army." A startled communications officer in Washington deleted the final two sentences before delivering the telegram to Stanton. If McClellan's intemperate and insubordinate "I-told-you-so" letter was intended to send chills of fear through Lincoln and Stanton, it worked. Lincoln immediately responded with a kind, supportive note, assuring the general that the government would do everything possible to forward reinforcements, but that McClellan must do his best in the meantime to save the army. McClellan was justified in his complaints to the extent that Washington had not been patient during the three months he had been on the Peninsula and had repeatedly badgered him to move more quickly on Richmond. From the Lincoln administration's point of view, however, the campaign was an enormous drain on the Federal treasury, and Lincoln, Stanton, and their military advisers seem to have lost confidence in McClellan as the weeks dragged on. There seemed to be no end in sight. Furthermore, though the Lincoln administration had withheld troops from McClellan, they had also reinforced him by almost 40,000 men between April and mid-June. McClellan's plan for saving his army was complex. First, the supply officers had to relocate the enormous depot from White House Landing on the Pamunkey to an as-yet-undetermined point on the James River. Federal engineers searched for a site for the new depot even as the quartermasters packed up the old one. McClellan intended for his army to move rapidly from the Chickahominy over some 14 circuitous miles of narrow, country roads through dense forests to the James. He sent the Fourth Corps ahead to secure important points, especially the bridge over White Oak Swamp and the crucial crossroads of Glendale, through which most of the army must pass. Fitz John Porter's battered Fifth Corps would follow the Fourth Corps and move on to the James. Meanwhile, the three other corps that had remained south of the riverthe Second, Third, and Sixth, about 42,000 men totalwould hold their positions around Seven Pines and Savage's Station and cover the retreat (McClellan declined to call the movement a retreat. 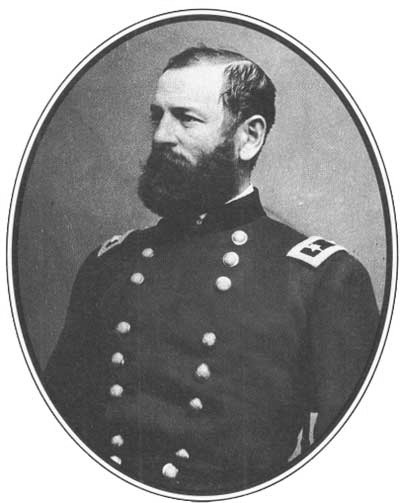 Instead, he cast the sidling march to the James in a positive light and referred to it as a "change of base," as though it were merely another component of his offensive operations against Richmond). McClellan calculated that he would need two daysall of June 28 and 29to get the lead two corps and all of his impedimenta (wagons, wounded, cattle, and so on) across White Oak Swamp, which he hoped would offer some measure of protection. 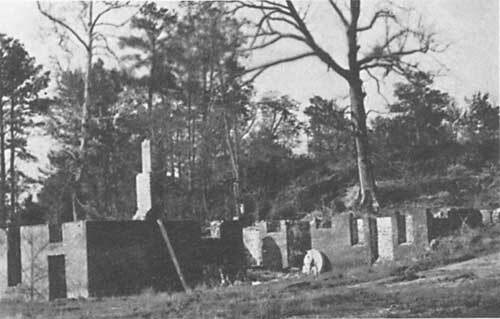 The Battle of Gaines's Mill was the largest of the Seven Days' battles. The following graphic account, excerpted from a letter written by an unidentified member of the 4th Texas Infantry, captures one man's battlefield experience. It was published the month after the battle in one of the Richmond newspapers. "Suddenly, we (4th Texas Regiment) faced to the front, advanced in a run up the hill, and as we reached the brow, were welcomed with a storm of grape and canister from the opposite hill side, while the two lines of infantry, protected by their works, and posted on the side of the hill, upon the top of which was placed their battery, poured deadly and staggering volleys full in our faces. Here fell our Colonel, John Marshall, and with him, nearly half of his regiment. On the brow of this hill the dead bodies of our Confederate soldiers lay in numbers. They who had gone in at this point before us, and had been repulsed, stopped on this hill to fire, and were mowed down like grass and compelled to retire. It was now past 5 o'clock. When we got to the brow of this hill, instead of halting, we rushed down it, yelling, and madly plunged right into the deep branch of water at the base of the hill. Dashing up the steep bank, being within thirty yards of the enemy's works, we flew towards the breastworks, cleared them, and slaughtered the retreating devils as they scampered up the hill towards their battery. There a brave fellow, on horseback, with his hat on his sword, tried to rally them . . . leaping over the work, we dashed up the hill, driving them before us and capturing the battery. . . . . we saw there was yet work ahead. We were now in an open field . . . a heavy thirty-two pound battery straight ahead now opened on us with terrible effect, while another off to the right reminded us that we had just commenced the battle. On we go . . . exposed to a galling fire from the battery in front, from that on the right, and from swarms of broken infantry all on our left and rear. Yet on, on we go, with not a field officer to lead us, two thirds of the Company officers and half the men already downyelling, shouting, firing, running straight up to the death-dealing machines before us; every one resolved to capture them and rout the enemy . . . I could plainly see the gunners at work; down they would drive the horrid grapea long, blazing flame issued from the pieces, and then crashing through the fence and barn, shattering rails and weather-boarding, came the terrible missiles with merciless fury . . . The smoke had now settled down upon the field in thick curtains, rolling about like some half solid substance; the dust was suffocating. We could see nothing but the red blaze of the cannon, and hear nothing but its roar and the hurtling and whizzing of the missiles. Suddenly the word is passed down the line, "Cavalry," and down come horses and riders with sabres swung over their heads, charging like an avalanche upon our scattered lines; they were met by volleys of lead, and fixed bayonets in the hands of resolute men, and in less time that I take to write it, a squadron of U.S. Regular Cavalry was routed and destroyed. Horses without riders, or sometimes with a wounded or dead master dangling from the stirrups, plunged wildly and fearfully over the plain, trampling over dead and dying, presenting altogether one of the most sublime and at the same time fearful pictures that any man can conceive of without being an eyewitness . . . . The next morning we arose early. I will not attempt to describe the appearance of the field. I could write twenty pages and yet give you no adequate idea of it." So far, Lee had been completely successful in his goal of driving McClellan from Richmond. Not only had he delivered the capital from the imminent threat of the siege, but he had wrested the initiative from McClellan. Lee was now deciding the course of events, and McClellan, on the defensive, was reacting to the Confederate's moves. Lee had reversed the pattern of the past three months in just two days. But the Confederate commander was not satisfied to rest upon these accomplishments. He saw that now an even greater opportunity for success lay before him. The defeated and battered enemy was in flighta circumstance every aggressive fighter hopes for, and Lee was no exception. He believed that if he pursued McClellan and could again strike him a hard blow, he might stand a very good chance of destroying the Federal army, or at least a large portion of it. Lee did not intend to permit McClellan to escape. But first, Lee had to be sure of where McClellan was retreating to. The Federals might go to the James or they might move eastward toward White House or even Fort Monroe. The Virginian spent anxious hours on June 28 waiting for word from his scouts, but late in the day came evidence to convince him that McClellan was heading southward. Lee at once began planning to intercept and attack the Army of the Potomac somewhere between the Chickahominy and the James. According to Lee's new plan, Magruder, who had been holding the Confederate line south of the Chickahominy with 23,000 men against McClellan's approximately 58,000, was to move aggressively along the Williamsburg Road-York River Railroad corridor toward Savage's Station. Benjamin Huger, with his 9,000 men, was to move along Magruder's right flank on the Charles City Road and push toward what Lee saw was the crucial intersection at Glendale. Longstreet and A. P. Hill with 20,000 men total, were to make a long march westward toward Richmond then southward and eastward on the Darbytown Road heading, like Huger, for Glendale. Jackson's column, including D. H. Hill's command, was to cross the Chickahominy and follow directly in McClellan's wake. 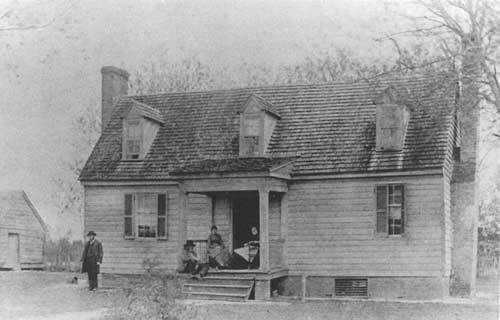 Savage's Station had been a Federal supply depot since just before the Battle of Seven Pines. McClellan's quartermasters had accumulated enormous amounts of food and equipment at the depot, and now, as the army began its retreat, the supply officers realized they could not remove everything. On June 28, the work of destruction began. Pennsylvania chaplain J. J. Marks wrote, "No language can paint the spectacle. Hundreds of barrels of flour and rice, sugar and molasses, salt and coffee, were consigned to the flames; and great heaps of these precious articles in a few moments lay scorching and smoldering. A long line of boxes of crackers, fifteen feet high, were likewise thrown into the mass." While the destruction continued, a far sadder story began to unfold. Savage's Station also served as a Federal field hospital. 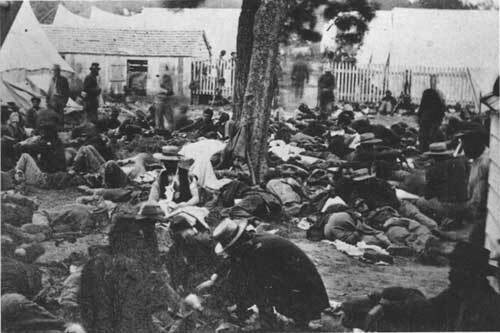 After the battles of June 26 and 27, some 1,500 wounded men flooded into the hospital at Savage's, and more continued to arrive until more than 2,500 men lay in and around the tents at the depot. The surgeons were overwhelmed, as, apparently, was General McClellan. Though he had just hours earlier told the president in lavish rhetoric that he "feels in his heart the loss of every brave man who has needlessly been sacrificed" McClellan decided he could not evacuate the wounded and would abandon them to the mercy of the enemy.